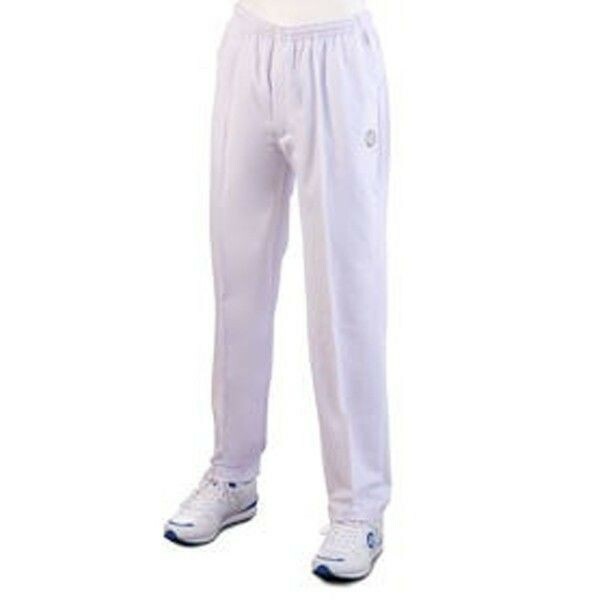 The Drakes Pride Men's Sports Trouser are extremely comfortable bowling trousers with deep pockets and a zipped fly. Extremely comfortable bowling trousers with deep pockets and a zipped fly. For added comfort the waistband is elasticated and also has an internal draw cord. The white trousers are partially lined in order to eliminate any transparency. Made from 100% polyester and available in three leg lengths for the perfect fit. Leg Lengths :- 29", 31", 33"
As these trousers have an elasticated waistband and draw cord one size will often comfortably fit players of a range of sizes. The below sizing can be used as a guide but bear in mind that because of the elasticated waist they will comfortably fit sizes either side of those indicated as well. For example a size XXXL will comfortably fit a 44" waist.